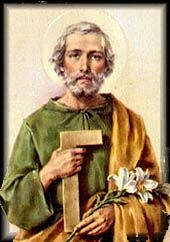 Blessed St. Joseph, patron of all working people, thank you for the opportunity to build up God’s kingdom through my labors. Help me to be conscientious in my work so that I may give as full a measure as I have received. May I do all things in a spirit of thankfulness and joy, ever mindful of the gifts I have received from God that enable me to perform these tasks. Permit me to work in peace, patience, and moderation, keeping in mind the account I must one day give of time lost, talents unused, good omitted, and vanity of success, so fatal to the work of God. Glorious St. Joseph, may my labors be all for Jesus, all through Mary, and all after your holy example in life and in death. Amen.